Bootleg alcohol has killed more than 100 people in Indonesia this month, mainly in West Java and the capital Jakarta, according to news reports. The high number of cases marks a continued escalation in fatalities caused by illicit liquor, which have rocketed from 149 documented deaths in 2008-2012 to 487 in 2013-2016, according to figures from a Center for Indonesian Policy Studies (CIPS) report published last year. 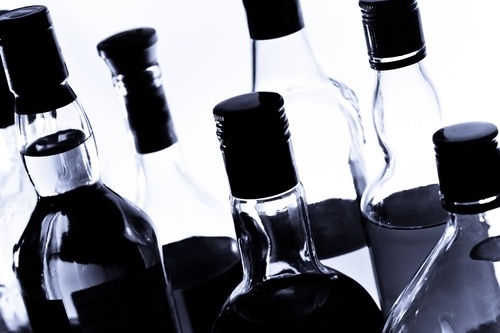 The epidemic is blamed on a burgeoning black market for liquor in the predominantly Muslim country, which implemented sweeping restrictions on the outlets than can offer alcohol two years ago, effectively preventing sales through convenience stores and restricting the legitimate trade to hotels, restaurants, and nightclubs. It’s also been imposing hefty taxes on alcohol since 2010 and, according to CIPS, that has driven the consumption of highly-potent and hazardous moonshine locally known as oplosan as well as counterfeits sold in the bottles of branded distillers and mixtures of the two. The World Health Organization estimated in 2014 that five times as much illicit alcohol is being consumed in Indonesia compared to legitimate, recorded supplies, it says, calling for a reduction in taxes and tariffs, public awareness campaigns and – arguably counterintuitively – increasingly strict licensing requirements for authorised sellers. Faced with the latest crisis, the Indonesian authorities have pledged to crack down on groups producing and selling the knock-offs. The latest fatalities have been linked to drinks being distributed in plastic bags that according to analyses was 96% pure alcohol and laced with methanol and mosquito repellent. Seven suspects have been detained in connection with the latest incident, and two are still at large.